Our quality policy is oriented to the development of products and services in the sphere of automatic systems, according to the world standards and market demands in due time with the least expanses and best quality, in comparison with the similar products of our rivals. We strive to realize as full as possible the customers' needs and meet their requirements, taking into account future wishes and exceed the customers' expectations. For this purpose, we constantly improve processes of planning, development and test of our products. We also analyze received results and take all the necessary measures, concerned modernization of quality management procedures, reducing quantity of reclamations from our customers. We tend to create the most favourable conditions for our employees, improving working environment, increasing their qualifications with a help of trainings and creation the cooperation and friendly atmosphere between the company's subdivisions. We direct our efforts to widen the range of our products and services, attracting more customers. To make every effort in sphere of development, production and services, in order to propose the customers the most advanced materials and technical solutions in the shortest period of time. 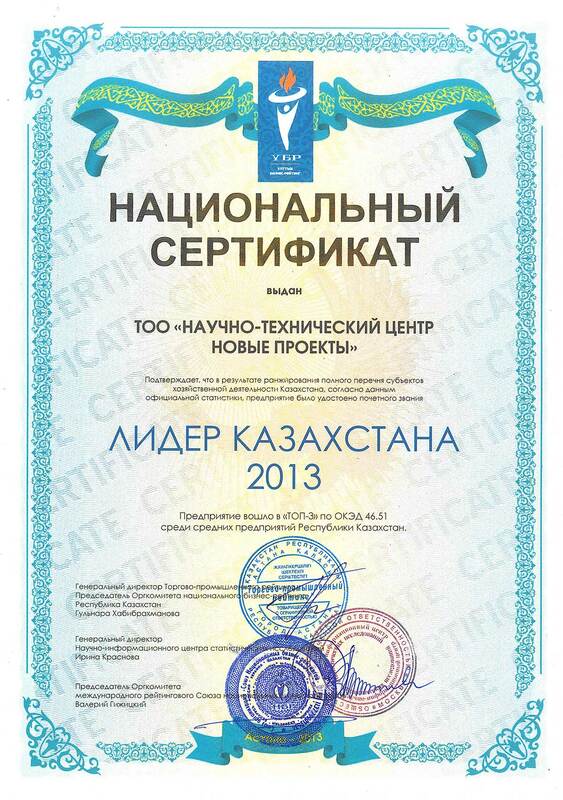 To comprehend business bases and special technologies of our customers. One of the basic features of the success is to involve intellectual potential of our customers and satisfy their growing requirements. To conceive our customers' requirements as the base of our activity and to be ready to the changes in the company. To propose the customers products, which they need, not we would like to sell. . The company's management is responsible for the implementation of the quality policy. Its main task is to create conditions of work, providing employees' deliberate involvement into the process of quality management. We are interested in the highest possible opening of their organization and creative abilities. Every employee personally takes part in the achievement of the intended goals of the company: the quality of the ready products and services; company's image among the customers and suppliers, their trust depend on the performance of each employee of our company.